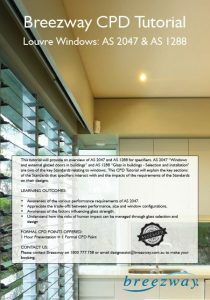 Breezway is proud to announce the official launch of the new CPD Tutorial on “Louvre Windows: AS 2047 & AS 1288”. This tutorial will provide an overview of AS 2047 and AS 1288 for specifiers. AS 2047 “Windows and external glazed doors in buildings” and AS 1288 “Glass in buildings – Selection and installation” are two of the key Standards relating to windows. This CPD Tutorial will explain the key sections of the Standards that specifiers interact with and the impacts of the requirements of the Standards on their designs. Awareness of the various performance requirements of AS 2047. Appreciate the trade-offs between performance, size and window configurations. Awareness of the factors influencing glass strength. 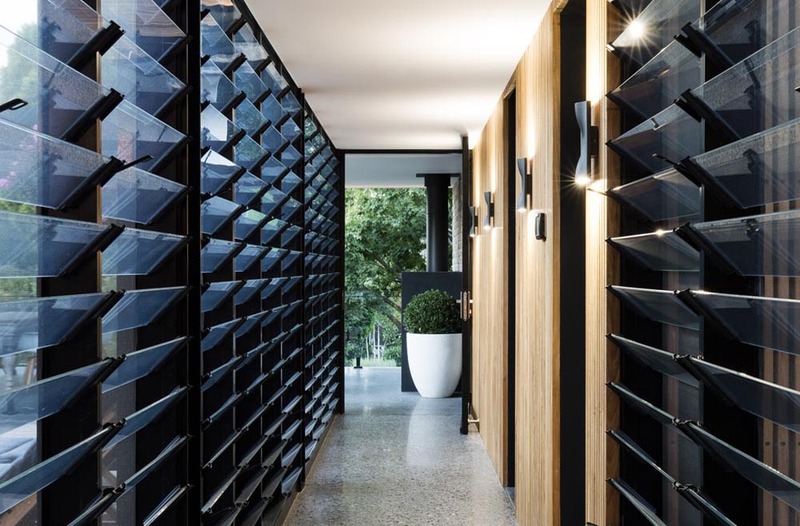 Understand how the risks of human impact can be managed through glass selection and design. This is a FORMAL CPD therefore 1 Formal CPD point can be collected. Breezway also offers two other CPD Tutorials on Fall Prevention through Openable Louvre Windows and The Scientific Benefits of Ventilation. These tutorials can be delivered in person or online depending on your requirements.